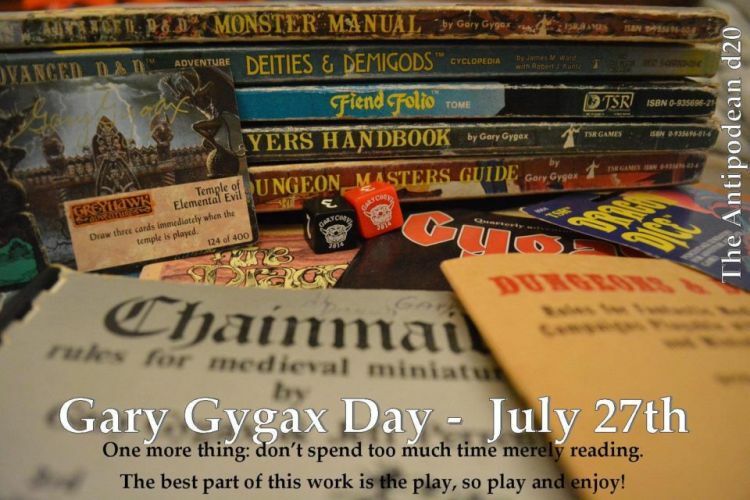 Creative Mountain Games: Events & Play Wednesday - Gary Gygax Day! 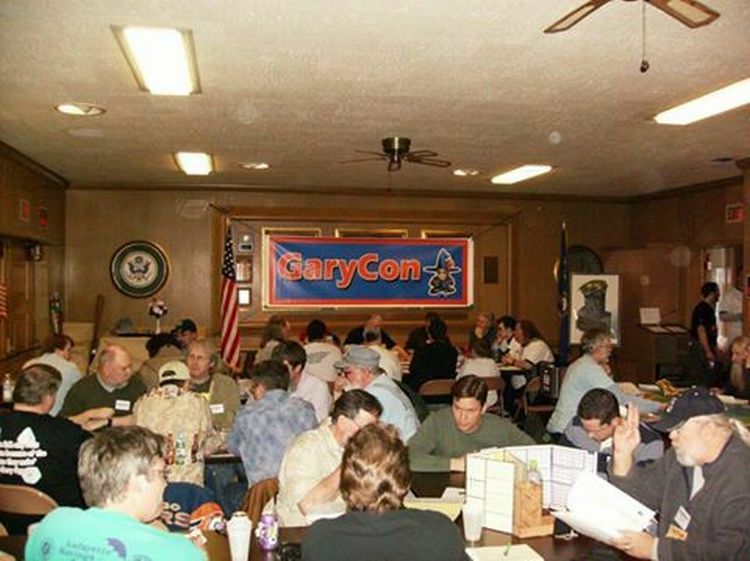 Now that Gary Gygax Day is upon us, let's all do our best to remember why we game: the friendships we make, the fun we share, and joy it brings to our lives. If you have the chance, share some of your fond memories of gaming here or on the GM's Day page where Gary Gygax Day is also being celebrated here. And don't forget that CMG is having a One Dollar sale to mark the occasion here. 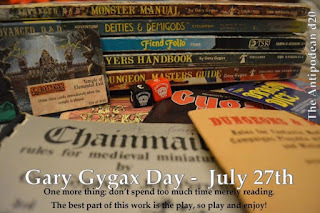 Also, on multiverse.world, Timothy Connolly penned a wonderful article with d30 ways to enjoy your Gary Gygax Day here. Finally, great thanks to Tim and the gamer-from-down-under Heath for spreading the word about this wonderful holiday. You can visit Heath's The Antipodean d20 page here.